We are in 2018 after Christ. All of Gaul is occupied by socially disinterested young people… All of Gaul? No! Saint-Malo, a village populated by unshakeable young members of the YoungCaritas, is still resisting the exploitation of our planet and its pollution. … Is that sounding like an Asterix and Obelix comic to you?! It may be, but that’s exactly what happened this summer at the YoungCaritas Summer University, in the home country of Asterix and Obelix. At the end of August, hundreds of young people, from all over the world, gathered in the French port of Saint-Malo, to attend workshops on sustainability and ecology. The participants, who came from France, Luxembourg, Germany, Austria or South Tyrol to the Summer University, had a rather short journey, in comparison to the long travel the participants from Senegal or Peru had. However, no matter where the participants came from, what denomination or culture they had, they were united by a common goal develop topics on environmental protection and living in harmony with nature. Questions like “What can I contribute to the preservation of our planet?” or “Is it justifiable to eat meat?” have already been asked by almost every one of us. The Summer University offered a great opportunity to find answers to all our questions regarding ecology. But discussions were not enough, and surely not for Asterix and Obelix, that is why we also did a lot of practical work during the Summer University. While our favorite comic book figures restricted themselves to “Roman hunting”, we learned how to repair a bike, make our own cleaning supplies, dye textiles with natural dyes, grow plants, or went for a walk in the woods to meditate. 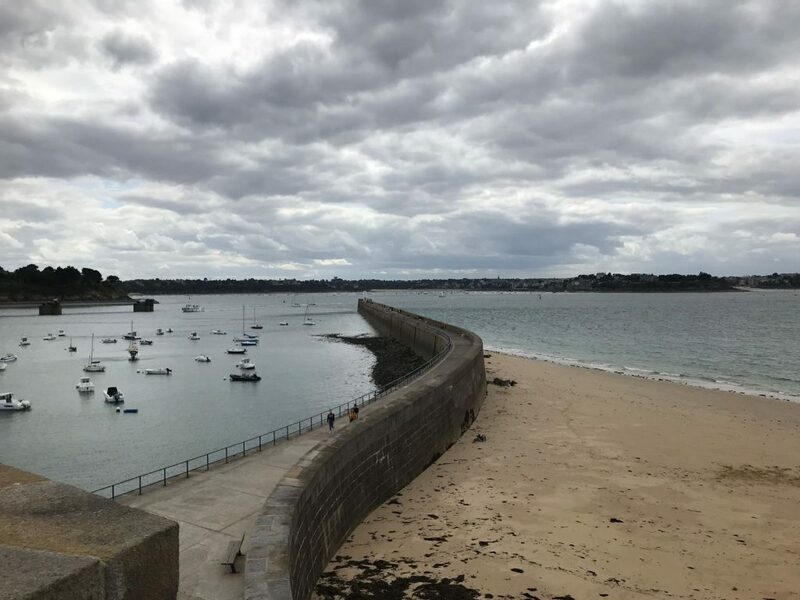 In addition to all the activities, there was plenty of time for us to explore the city of Saint-Malo, to walk on the surrounding city walls and to come to the beach to plunge into the cold depths of the Atlantic. At night, while Obelix treated himself to his third wild pig, the “students” unpacked their musical instruments and dancing moves. The circus tent, the “place to be” at the Summer University, was transformed into a concert hall, for example, on one evening you could listen and dance to traditional African music. On another evening, you could attend a movie night with popcorn. The last night was finally celebrated with a DJ and everyone partied. And if you were not busy dancing or playing music, the Summer University was a great way to get to know people from different countries and make new friends. Well, where do you go if you are exhausted and you just want to sleep? In your tent. Always faithful to the moral of being in harmony with nature, the participants of the Summer University spent the night in tents, creating a small tent city full of nice people, good ideas and lots of fun. If you are wondering now why you should attend the next Summer University? The answer is simple, after all, we all live in a small village called “the Earth”, and we want to live in it for as long as possible. Unfortunately, there is no magic potion like in Asterix and Obelix, thant can solve all our problems. It takes all our efforts to confront the causes such as pollution and exploitation of resources. The participants of the Summer University were shown a step in the right direction. -Before the sky eventually ends up falling on our heads.